This was a great read! 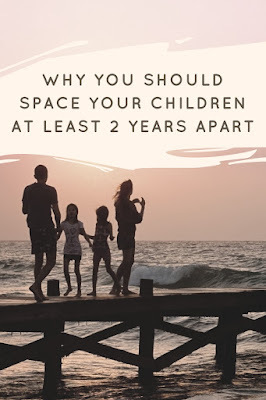 My son will be 2 in September and my husband and I were just talking about when we should have another. He thinks it's a good idea for them to be about two years apart, but he isn't crazy about having another baby yet. Part of me sees the benefits of only having one, but the other part of me wants to just pop them out left and right! I love my son but I still feel like our family need at least one more! OMG! I can barely handle one baby some days! 3 under 5 would be a nightmare! We have kids 2.5 years apart and 13 months apart. It will be interesting to experience the difference between them. Oh yes I like the 2 year gap, mine are 2.5 apart and I think it's a pretty good gap. My Mum had 4 kids 5 and under at one point!